Refreshing frozen margaritas on a stick? 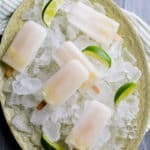 Yup, boozy margarita popsicles are fabulous for the Summer pool parties that need that little bit of special dessert. 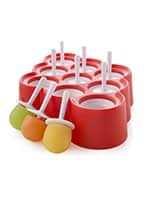 When it’s hot outside and you’re hanging out with your besties, boozy popsicles are another great way to enjoy refreshing cocktails. 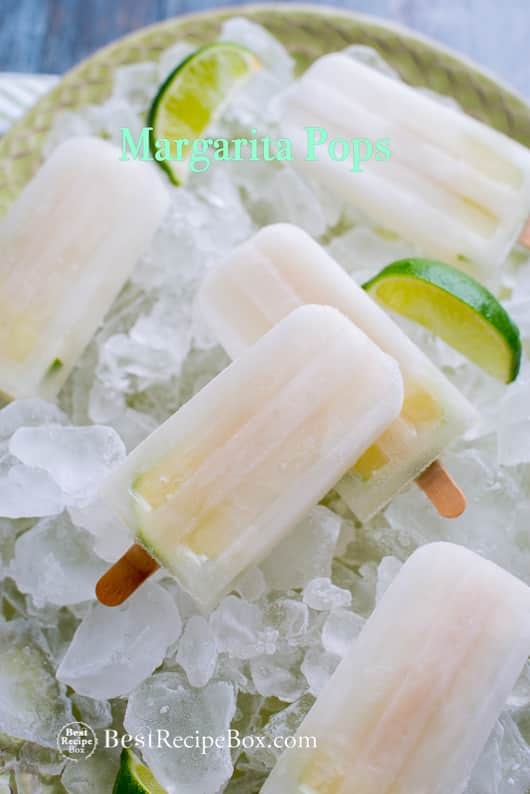 These margarita pops are super delicious and truly taste just like a margarita. Only this time, it’s frozen for adults. Another reason why they’re great is that it takes a little longer to consume so you can slow down and appreciate a margarita even more with every lick. So gather up your friends this weekend and cool down with a boozy pop! You can make several batches of these a few days before and your job is done! Just turn up the music and have a fantastic time with your friends. Add some salt on the tip of the boozy margarita pop just like you would salt the rim on the cocktail! 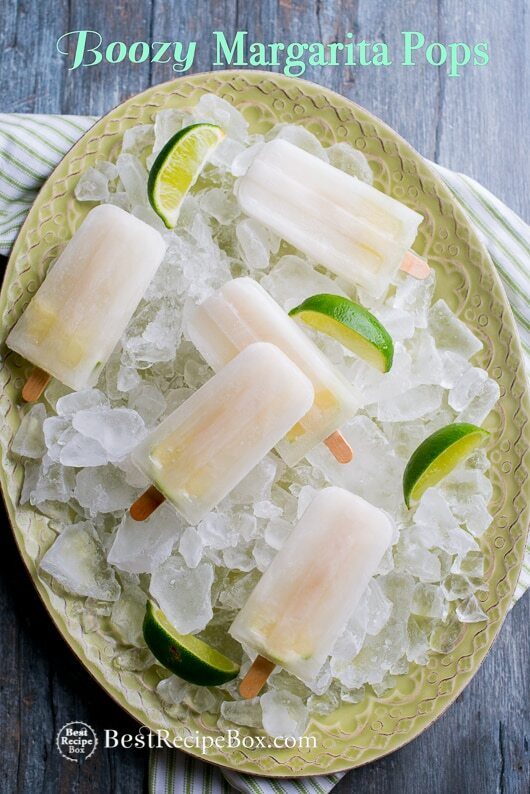 It’s a fun and great way to really have a full margarita experience on a frozen stick. All you need is some tacos, salsa and tortilla chips to make an awesome party for Cino de Mayo too! Here’s some of our other favorite summer party libations! 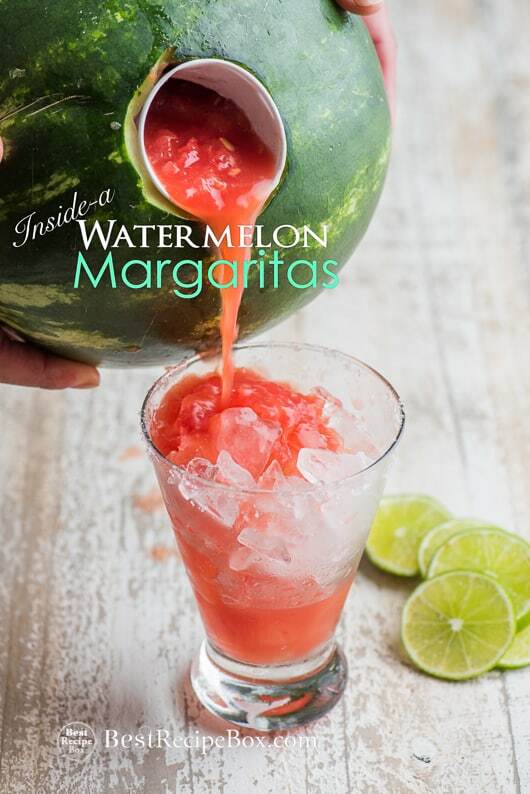 Make our mind blowing watermelon margaritas here made inside a watermelon! 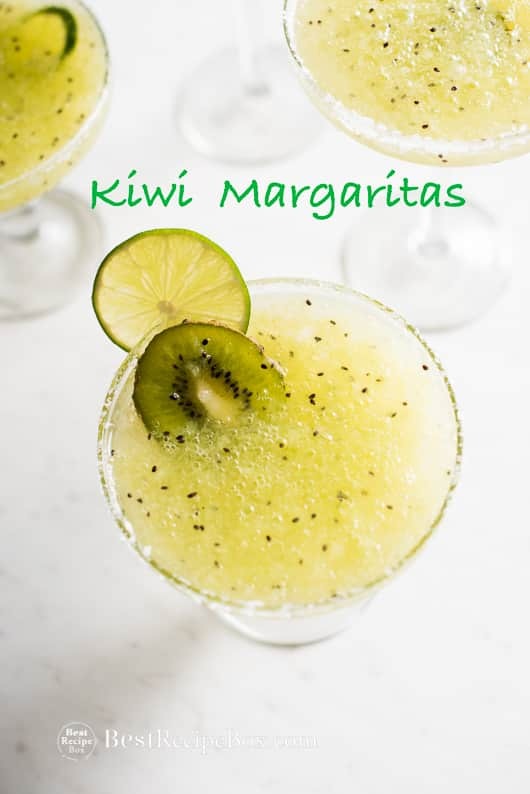 Kiwi Margaritas are fabulous! They’re a popular drink with our readers. More Ice Cream Recipes and Summer Recipes. Warm the water a bit to help dissolve the sugar. It shouldn’t be hot, about 30 seconds in the microwave or briefly on the stove is sufficient. We will often make them with a touch more tequila, but they won't freeze as solid. 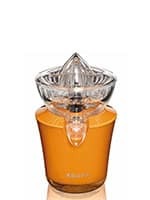 If you are using a mold which easily release the pops feel free to use about 1/3 cup of tequila instead of the 1/4 cup. In bowl, stir together water, sugar, lime juice, tequila, and orange liqueur. Make sure sugar is completely dissolved. Pour and divide the margarita mixture between 10 ice pop molds. 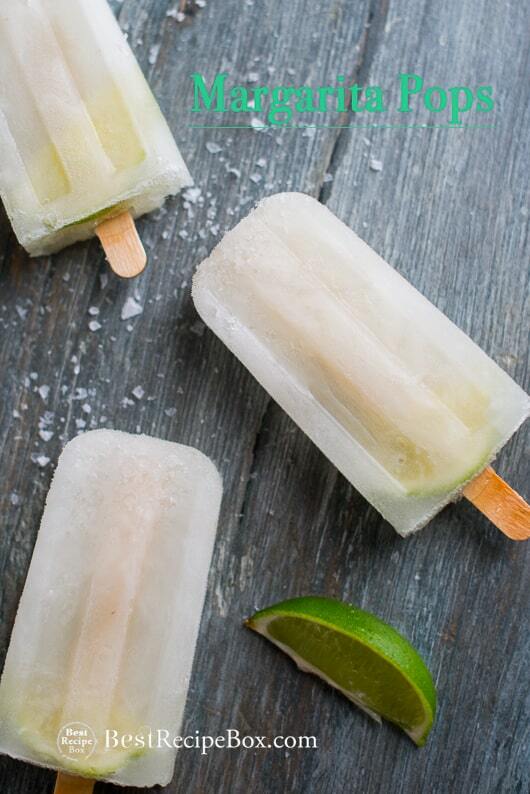 (optional) Add a thin slice of lime into each pop mold. Insert popsicle sticks and freeze for 4 hours or until completely solid. 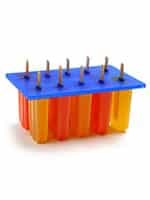 (optional) Before serving, dip or sprinkle some salt on the tips of the un-molded pops.